Traveling is much better if it is spent with family. Here are my family at cuartel, Oslob, Cebu. From the left to the right: my brother, then my sister in law, my father and my mother. They came to Oslob for my civil wedding ceremony, so glad that they had supported and given their blessings on this new journey that I had courageously entered in my life together with my 6 year boyfriend who is now my husband. After the said ceremony and that we were all ready to go home, we passed by Cuartel and Oslob's plaza area to enjoy the view as well as spend some time taking photos of the area. This is some ruins for a watch tower being used before by the locals to protect their town from the invaders. It has been destroyed long time ago but glad they still have this ruins to remind the locals of the history. 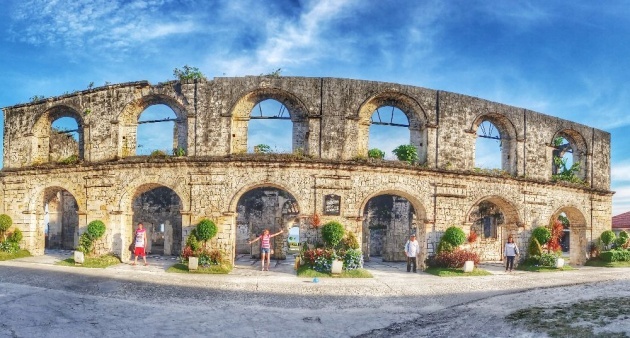 The Oslob's Cuartel is also the remaining ruins of the town's old worker's place. I am referring to those men who had helped in terms of keeping the town safe, this was their resting place which is just very near to the watch tower as well and the church. 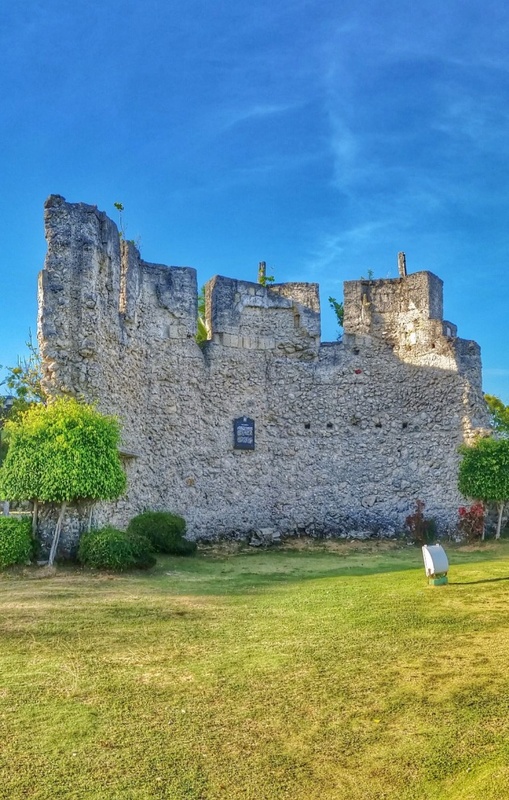 A new building was constructed at the back of the Oslob's Cuartel Ruins which is now their public Museum which they call as Muselio Oslob. That's mama and papa in the photo. 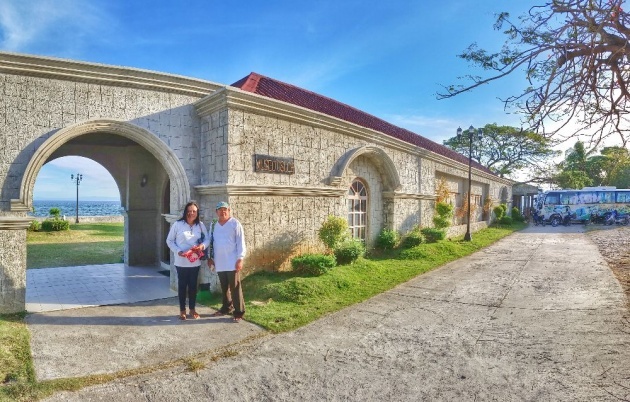 What Are the New Establishments in Oslob, Cebu?